Robert Meyer env. One cent stamp & postmark: Oswego Oregon Oct 15 19 [14?] 5pm. [address & message]: Miss Anna Meyer Salem, Oregon, c/o State School for Deaf. Dear Anna: I am at home this evening. Am working in Portland. Like it very much. How are you by this time? Every one at home seems fine. Robert starts high school in Oregon City. Must close with love, Sara Meyer. Transcription Robert Meyer env. 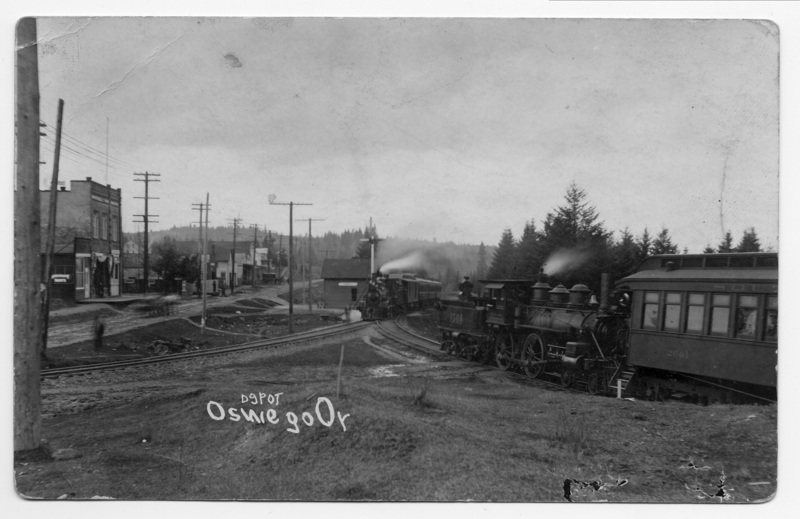 One cent stamp & postmark: Oswego Oregon Oct 15 19 [14?] 5pm. [address & message]: Miss Anna Meyer Salem, Oregon, c/o State School for Deaf. Dear Anna: I am at home this evening. Am working in Portland. Like it very much. How are you by this time? Every one at home seems fine. Robert starts high school in Oregon City. Must close with love, Sara Meyer.